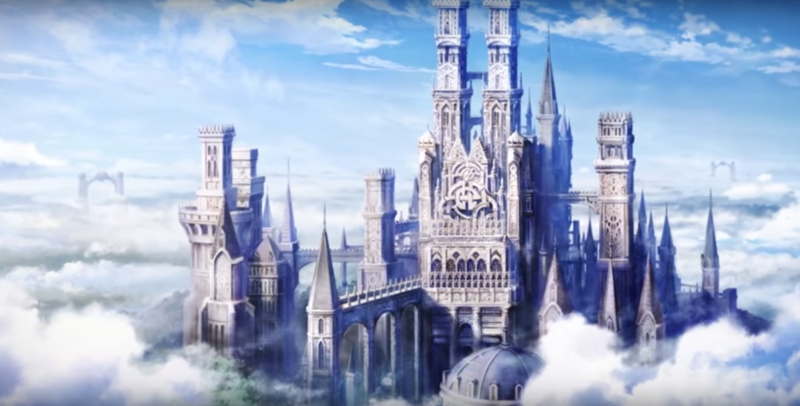 VincentASM did a fantastic job covering the finer details of Fire Emblem Echoes -Shadows of Valentia-, but that wasn’t the only big reveal during today’s Fire Emblem Direct. 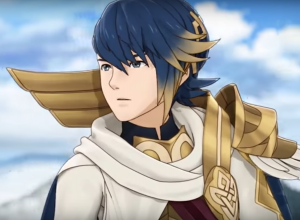 We were also finally given an incredible amount of information regarding the first official Fire Emblem app for smart devices, Fire Emblem Heroes. Heroes is slated to be available worldwide as of February 2, 2017. While the Direct stated that the app would initially be released on the Google Play store only, with the iOS version soon to follow, they quickly tweeted out an update, letting fans know that the game will be available on both platforms on February 2. We’re immediately introduced to two of our new heroes, Prince Alphonse and Princess Sharena of the Askr Kingdom. Little backstory given, but we can definitely tell their ties by observing their strikingly similar color palettes and the Heroes Crest hanging over their shoulder. We’re then introduced to who will effectively be you, the player, appearing through a portal and toting a…handgun? 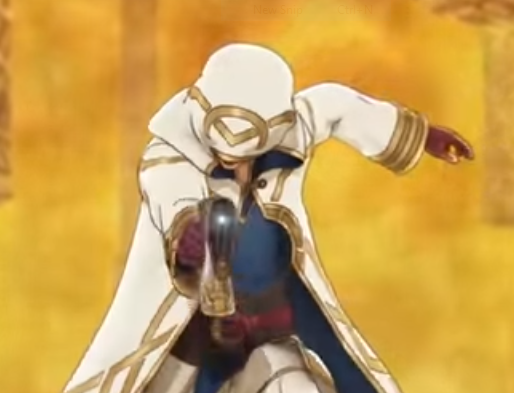 There’s no doubt that you’re allied with Alphonse and Sharena, but the closest thing Fire Emblem has ever seen to a handgun was a bow and arrow! Whatever the case, we next find an unusual couple preparing to engage battle against our heroes, being Xander and Lucina. Our nameless hero then leaps into the air, fires his handgun and from it appears the glowing orbs of the Fire Emblem, forming a cloud and releasing Camilla and later, Chrom. 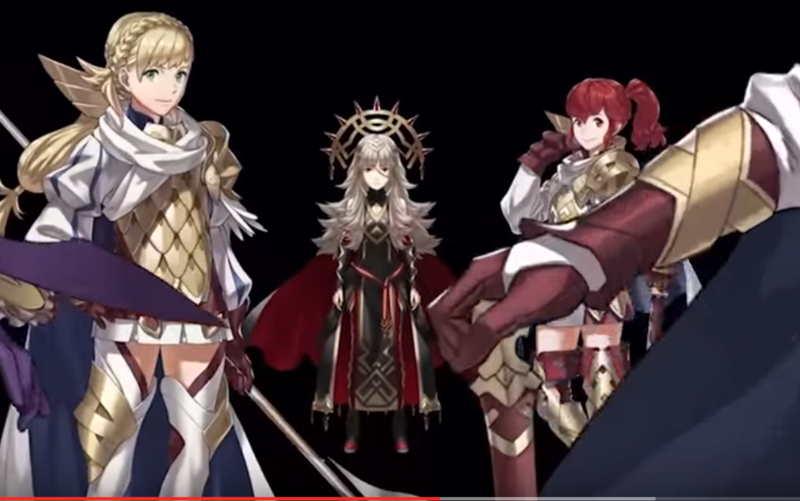 Following, we see a closeup of Lissa, Ryoma, Hinoka, and Takumi appearing from the blue clouds, and then our villains standing back to back, Veronica and The Masked Man, before the video finally comes to a close. 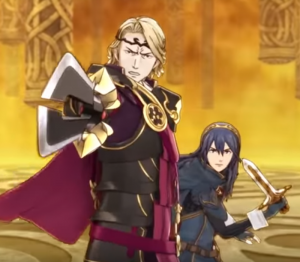 Yuri Lowenthal arrives to let us know what we just saw…that being the official opening for Fire Emblem Heroes. He lets us know what to expect, and that our adventure is just beginning, after being summoned in a time of need. 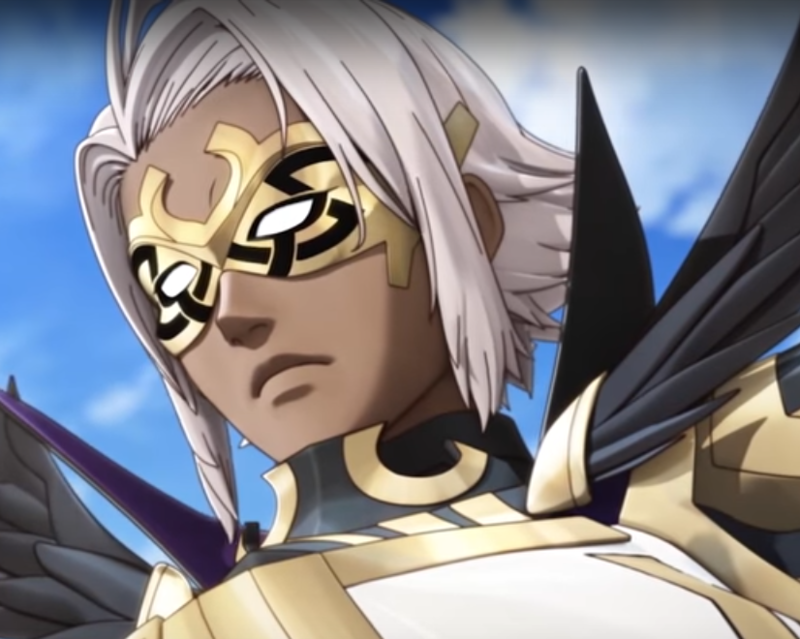 Lowenthal explains that the Emblian Empire (Veronica and Masked Man) intend to conquer any and all kingdoms it can find, while the Askr Kingdom (Alphonse and Sharena) aspire to end their terror. 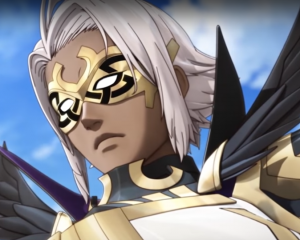 He then mentions that we are the Summoner (a class not seen since Fire Emblem Sacred Stones) and tasked with the duty of aiding in battle by summoning heroes from across the many realms and timelines of Fire Emblem’s vast historia. 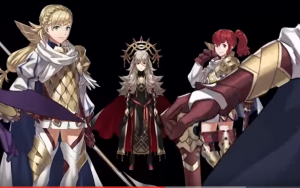 Fans of the franchise may immediately recognize Anna (right), and will be happy to learn that not only is she a playable character, but that she begins on your squad as a playable unit. That’s not all you’re get, however. Dozens of units are then shown to us, letting us see both what a wide cast this game will have to offer, and that unlike in the TMS#FE trailer, which showed no original artwork, we can expect to see updates and redesigns of every single unit. They won’t always be allies, though. They may be your enemies. One chuckle I had was seeing both Young and Adult Tikis in the cast list here. Battles will take place always on an 8×6 tile grid, implying that screen rotation will not be an option. 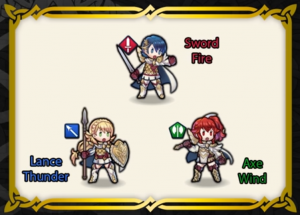 Obviously, due to these constraints, units will have reduced move counts compared to their original appearances. Navigation is simple. Just tap and drag your unit to where you want them to go. The phases end automatically. 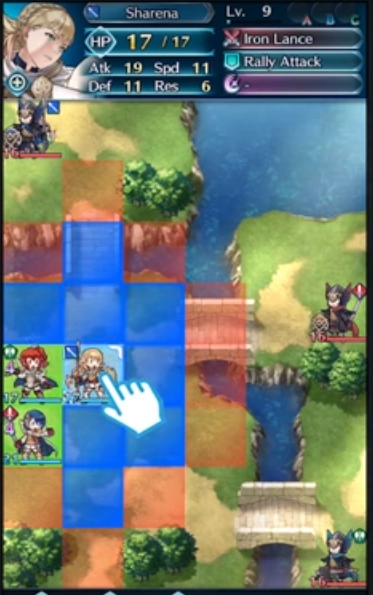 To attack, drag your ally over an enemy, or drag your unit to an appropriate tile based on your attacking distance, and tap the enemy you wish to battle. Battles happen almost instantly, but feature unique character art for all characters (even unnamed mooks) and voice acting based on the action. Did I mention that the entire cast is being given English voicework? Terrain will play into your strategic maneuvers, such as mountains or rivers. Fortunately, returning units such as Minerva and Caeda can fly as expected. You can even destroy walls again! 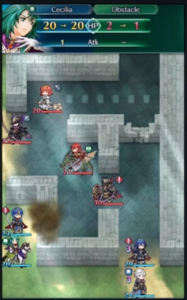 Notice the Obstacle Health remaining after Cecilia attacked the wall. Mechanics here may differ slightly from prior installments. 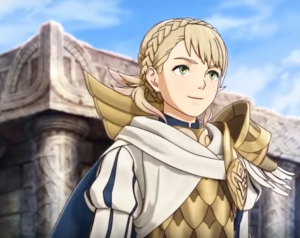 Fire Emblem Binding Blade’s Wendy has had her name changed slightly to Gwendolyn, a bit different than the norm. 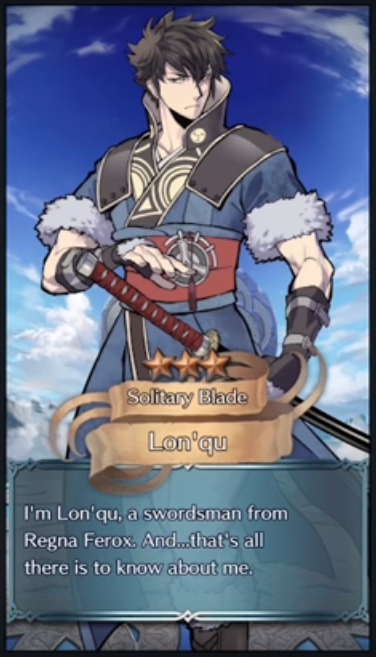 Devote fans will notice name translations being different from their expectations. One more similarity you’ll notice is the doubling threshold still remains. We’re not yet given notice on how exactly doubling works yet. Something a bit different from the norm is a unit’s attributes. In Heroes, units have a designated weapontype, accessory and skill (identified in the picture featuring Sharena, equipped with her Iron Lance and Rally Attack). 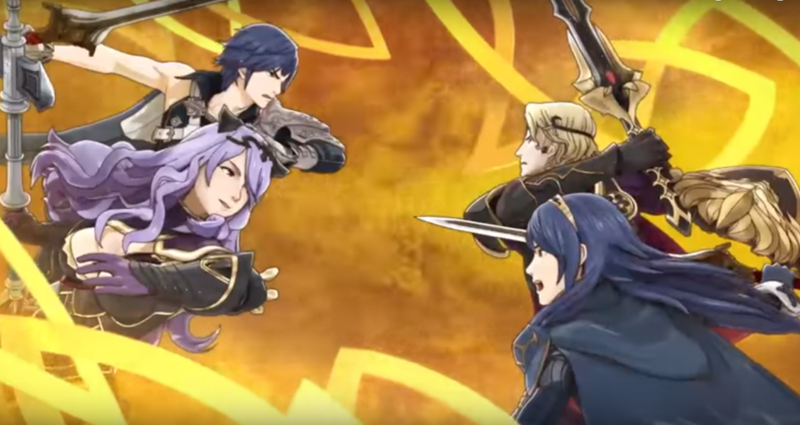 We see this tie into the traditional Weapon Triangle system from Fire Emblem Fates, but with a little twist. 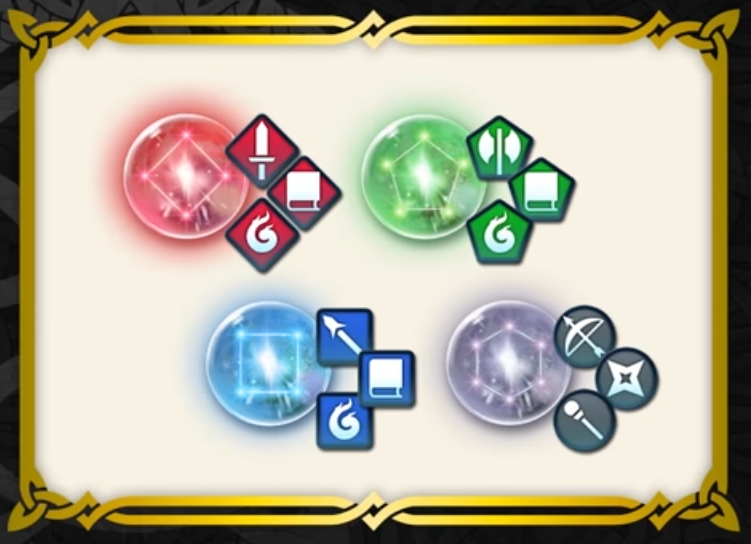 The magic triangle exists within the weapon triangle as elemental spells, implying that there is no Light or Dark Magic to speak of, and that Bows/Axes and Lances/Shuriken no longer share a common bond. 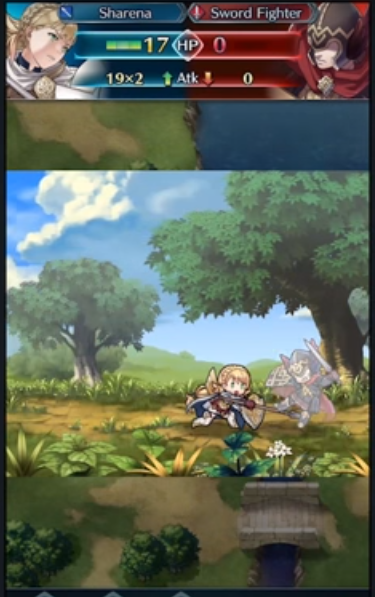 Should your unit fall while struggling to keep up with the roar of battle, they will return to you at the end of the map. 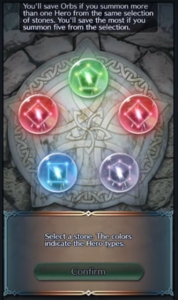 Summoning new units can be done in a few ways. One can either play the game normally, grind out and accumulate Orbs (the currency used to summon, as demonstrated by our Summoner’s handgun), or one can invest real currency through micro-transactions and buy their own orbs. What piques my interest on the Summoning page is the Appearance Rates button, implying a few possibilities. Perhaps there’s groups that you can attempt to summon through, much like opening a new pack of trading cards or maybe there’s an overarching summoning probability rate. Another element that I noticed was the Stamina meter. In many other apps, you can only play for a certain period of time until you “run out of stamina”. I could assume that the three swords implies a sort of extra lives system, but that’s my best guess only. 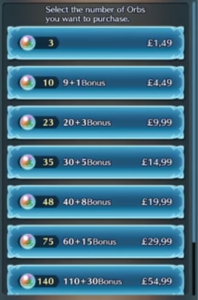 If you’re intending to summon using Gems you’ve saved up or accumulated through other means, you can spend them on the randomly filled list of available Summoning Orbs, which gives you a hero right on the spot that would normally fall under said category (useful if you need to fill a weak slot on a team, or just really want to recruit a specific character). 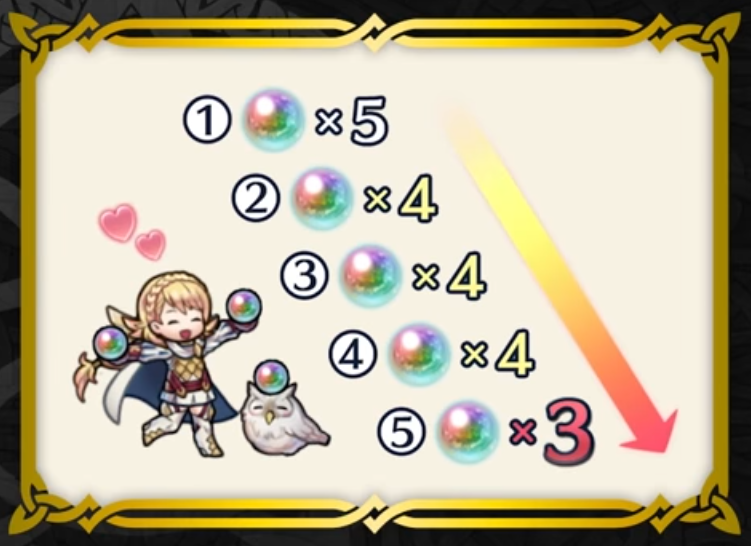 One thing we know is that each subsequent summoning, you’ll potentially save an orb for you to save or use elsewhere. What I’m unsure of is why the R/G/B triangles feature tomes as well as a flame? Upon summoning new units, you’ll be greated by their new customized-for-this-game’s artwork and a brief line of dialogue, coupled with that unit’s star [Astra] ranking. 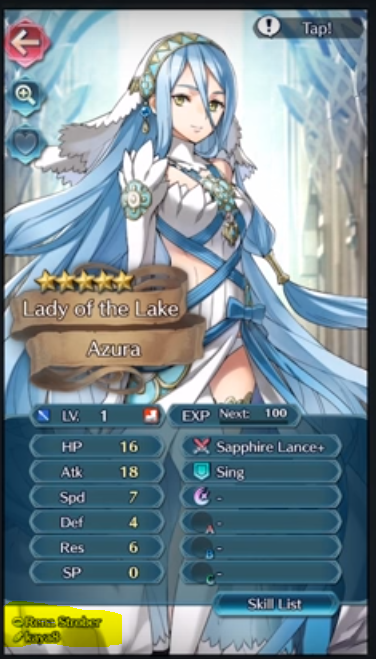 In the above Azura picture (accessible through the main menu), you can see the voice actor and artist behind the creation of your characters. Each unit’s Astra ranking impacts their power. More stars mean more stats, but also possibly better equipment or neat innate skills. 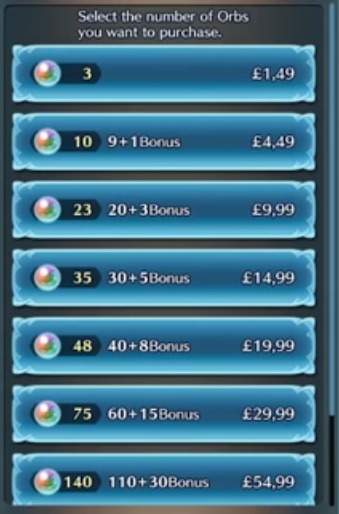 Think of stars being a method of determining rarity among your units. These stars can be improved through usage on the battlefield, but sometimes you just can’t help getting lucky. 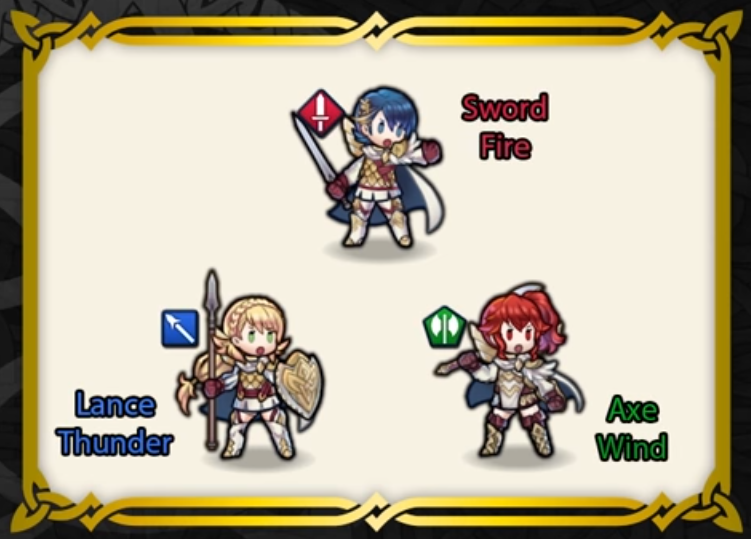 Through battle, obviously your units will level up. 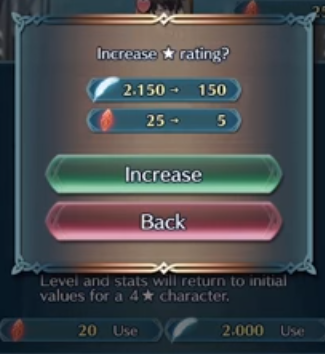 Stats from level ups are accounted for as you would expect in Fire Emblem. There are fewer stats than before, notably missing the Skill, Luc and Mag stats. 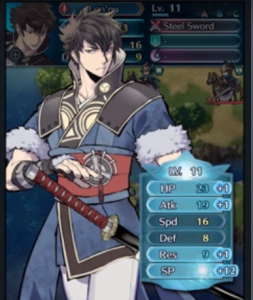 I’m certain that this is because unit power is tied to the Atk stat (much like how it is in all of the GBA releases). SP is the only new stat here, and can be used to exchange for new weapons or skills to assign to your character. 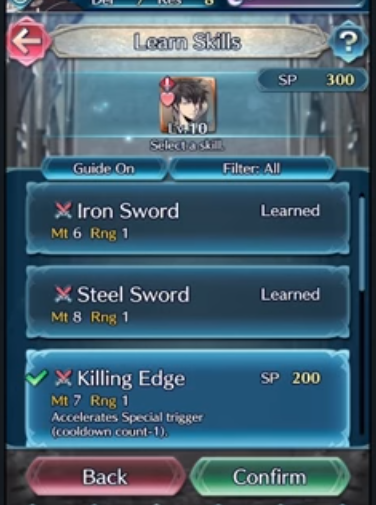 There are three types of active skills: Weapon, Assist, and Special. There are also passive skills, which give you a boost just by equipping them. 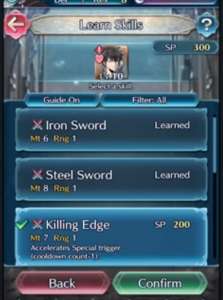 You can use your SP to invest in a unit’s Weaponry or Skills, which appear to be locked to that unit. 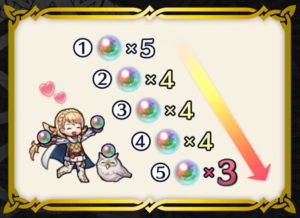 Alternatively, you can save them to increase your army’s Star Rating, boosting their power much like a permanent boost independent of RNG like the Seraph Robe or the Goddess Icon. Fortunately, there are more than just one ways to play. In the Arena, you can battle your friends and boost your overall scores and rankings, which offer you rewards like items which can bolster your heroes’ abilities. Alternatively, you can visit the Training Tower, which houses infinitely replayable missions that update with unit or terrain changes to keep the challenge fresh. Lastly are Hero Battles. 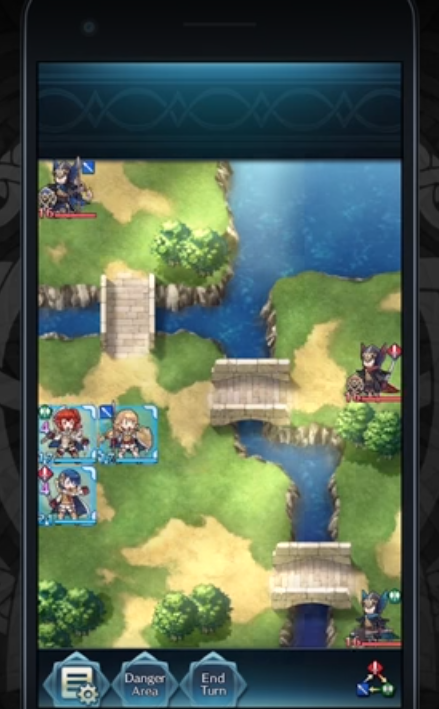 These are fights with time/turn limits, which allow you to battle enemies in efforts to recruit their commander, much like Fire Emblem Awakening’s Spotpass system. 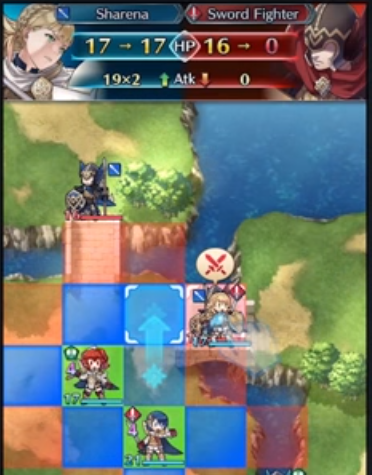 Win the fight, and you score that unit. Yuri manages to defeat Navarre and Stahl, recruiting them both! 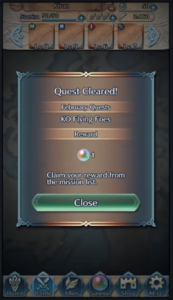 And with that, I’ll let you graduate from today’s crash course on what to expect with Fire Emblem Heroes next month. While you await the release of the app, there are a few things you can do to pass the time. 1. 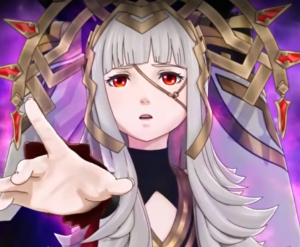 Visit the Fire Emblem Heroes homepage, to learn more about the gameplay and see some gorgeous unit renderings and redesigns. Subscribe to their Twitter while you’re at it, though currently, the Twitter is strictly Japanese, so you may have difficulty understanding it without aid from a translator or translation app. 2. Visit the Fire Emblem Heroes Choose Your Legends Event Voting page, and vote for your favorite three characters from any Fire Emblem games (one vote per day, 13 total per user), from now until Tuesday, January 31, 2017. I highly suggest taking the time to do this, as there are actual prizes available through the app. 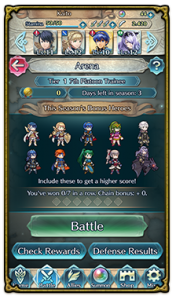 Entering this contest contributes towards determining the globe’s “Top Ranked Hero & Heroine”, which will receive customized DLC Hero Battles for recruitment with special outfits when recruited and also have special wallpaper-sized artwork designed for them monthly, every month until December 2017. Linking your My Nintendo account earns you a free 200 Platinum points, which can be used for goodies from Nintendo’s eShop. These are slated to arrive to user accounts right around event end, not immediately. Track your votes at your Battle Ballot after logging in. 3. Brush up on your Fire Emblem Gaiden knowledge, for the upcoming release of Fire Emblem Echoes Shadows of Valentia. The three swords will probably be some tome-based limiting mechanic, indipendent from stamina, for arena (there is no stamina cost shown in the arena screen) or some other mode. 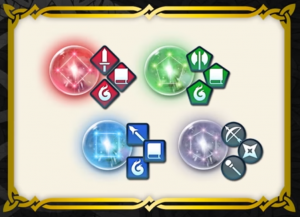 The “flame” icon could represent dragonstones, since we know Manaketes are in, but stones are not shown anywhere else in the weapons schematic. I would second this notion based on other mobo games i tried. They function akin to Stamina but are only used for “special event” maps (eg. 1 run on an event map cost 1 sword and 1 sword regenerates every 2 hours). Looking at one of the screenshots on the website that shows a list of characters, yeah the flame is used for manaketes. Red>Green>Blue>Red. Basic color triangle stuff. Although seeing that Archers, Clerics, and Ninjas use a grey icon, I guess they aren’t effected by the triangle, but can’t gain the bonuses from using it. Hey, I think it cool. It’s not like they are only planning to do only mobile games now. We have 2 more planned and an other spin-off. Exactly. They literally tried to hit all the bases. 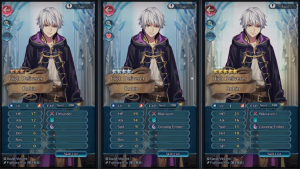 You want the next standard Fire Emblem fare? Fire Emblem Gaiden has you covered. You want a hack and slash game go play Fire Emblem Warriors. Do you remember playing Fire Emblem 9 and 10? Don’t worry we have a High resolution Fire Emblem on the way with the switch. Exactly, let’s just hope we can get a GOOD Fire Emblem with a story and supports conversations like PoR + a long and difficult game like RD. With this and a Metroid game, I get a Switch in no time. I’m actually pretty excited for this even though I’m usually not too big on mobile games. 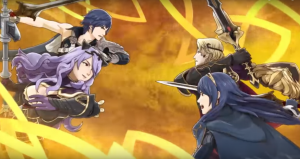 A magical gun that shoots out a waifu (…and a Chrom)? An assault waifle? Sold. sigh… Why did I laugh at a pun? I think it’d be really funny if we got Merlinus in the game. IDK how they’d make that work lmao. I’m voting for him if I make it all 14 days. That would be great. Merlinus has my vote! Or the trainee/villager classes… but then again there no light or dark magic either so who knows. Everyone vote Rolf please. We need some PoR/RD representation. I’ve been voting for Edward and Sothe on my account and my wife’s account. Ike’s games have too many great characters. 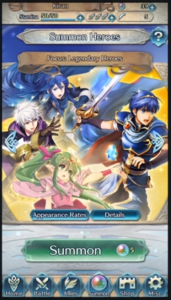 My guess is for the central artwork like they did with Ike (who looks like the Ike from the 2nd part if the game). For Jill I don’t think they will do a “young” version (well if she get to be in the game) but I’m curious for Mist, Rolf or Marcia who got some things changing. 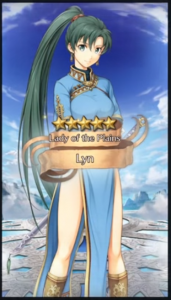 True, people Jill, Volke, Nephenee, Oscar, and Geoffrey don’t have much different but Mist, Ike, Sothe Marcia, and even Boyd are a noticeable difference. Guess we will have to wait and see. 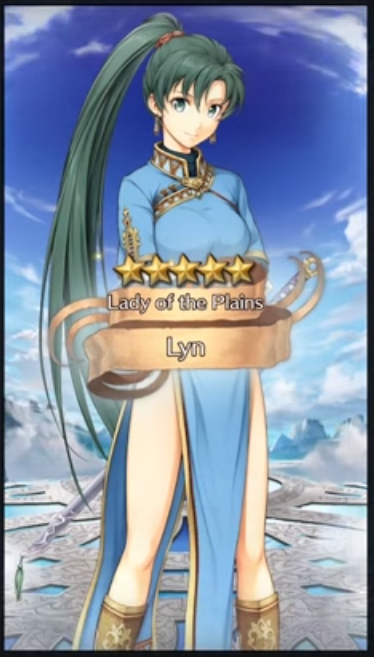 If we want PoR/RD characters, Nephenee, Volke, and the motherfucking Black Knight are where it’s at. 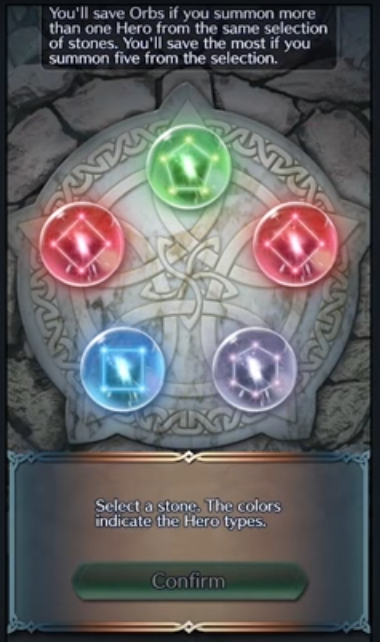 The tomes shown for each color represent an element. 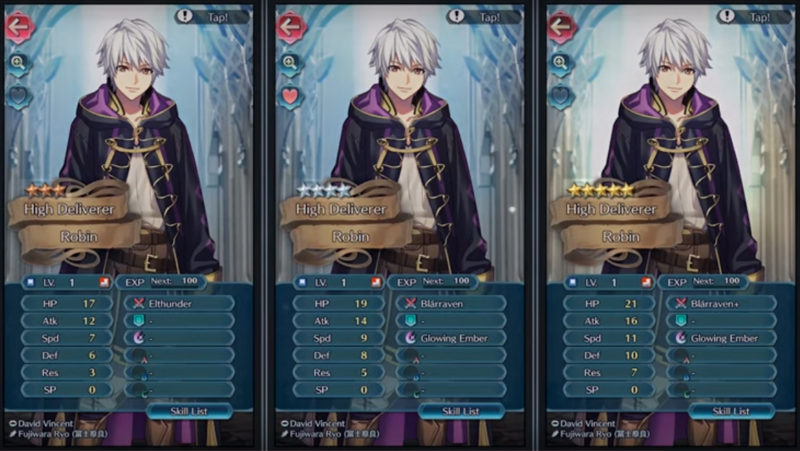 You can see what type of tomes theyare via weapons triangle. Make Fire Emblem Great Again. 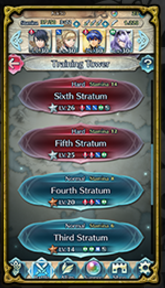 I feel a bit sad, since it seems that “Tharja” had a artwork change to it (her breasts seems smaller than the Awakening artwork). Everyone’s getting new art for this game. No one going to say anything about the White Robin with guns? Ok. 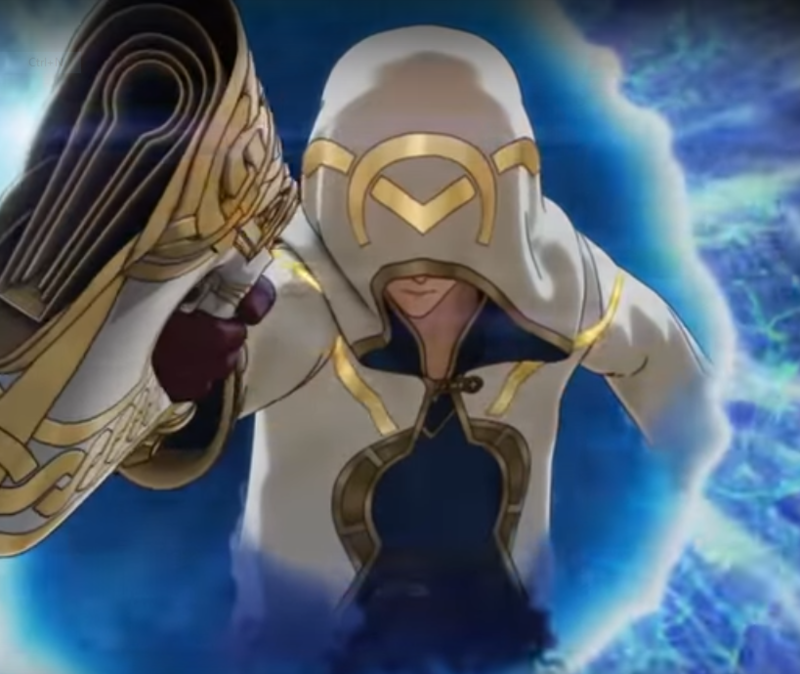 I think ourself (the guy in white and gold robe) can’t fight,because all i saw was he summoning unit,and second the gun hole looks like a keyhole in a door,maybe that gun was the thing for summoning. Voted Ayra. Geneology needs representation. 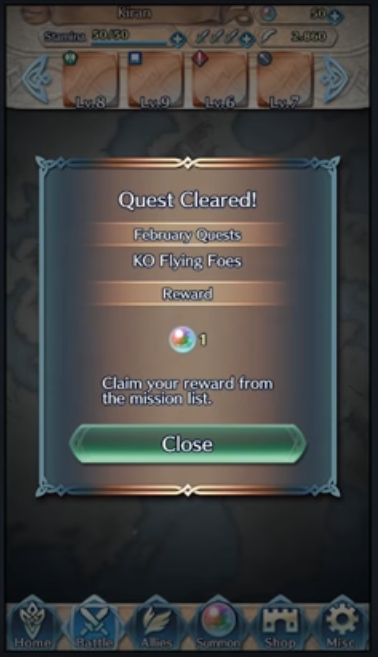 I didn’t see a single FE4 character in there. I also voted for Ayra. Anna Best Waifu, Just Sayin’. I Just hope it doesnt have Permadeath. With the summoning system, keeping permadeath would kill this game within the first week. They confirmed it doesn’t in the video. I’ve voted for Ayra from Genealogy of the Holy War. She started or popularized the Swordmaster class. We need Genealogy of the Holy War representation. Goddamn stamina meter. Whoever designed that mechanic in mobile gaming should be shot. I hate mobile games that only let you play for 15 minutes every 4 hours just so they can try to trick you into spending $5 so you can play for another 15 minutes. I was really looking forward to a Fire Emblem game on my phone, but now it looks like I’m not going to play it at all.